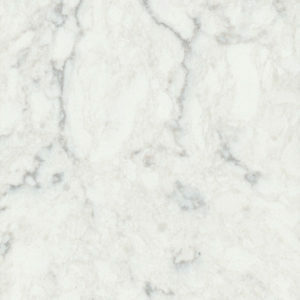 Via Lactea (also called Via Lattea) is a rich, dark granite with white detailing. As a natural stone, each slab is a unique design that brings personalized character to any home. In this project, Via Lactea granite adds a tone of sophistication to the kitchen, accenting both the white cabinets and grey backsplash. The design of this kitchen was done by Tricia Kendall and the flooring by Marra Flooring and Design, both our fellow partners part of the MetroWest Design Center! 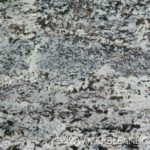 Antique Ice is a dramatic granite featuring an array of blue, white, and gray colors. Its attention-drawing pattern and unique design make it a fitting and beautiful centerpiece for the island’s countertop while complementing the dark cabinets beneath. Value: Granite countertops are timeless and add appeal to your home. Replacing a countertop with granite can help your home’s resale value. Easy to clean: Cleaning a granite countertop is as simple as using warm water and dish soap. 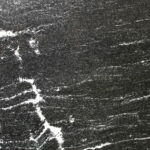 Durable: Granite is considerably durable, making it one of the most resistant stones against scratching and chipping. With a sealer applied, it will also resist stains. Both the kitchen perimeter and island feature an eased (also called straight or pencil) edge. This edge gives the countertops a clean look that does well not to distract from the pattern of the counters. Want this look for your kitchen? We’ll help you get started on your project!